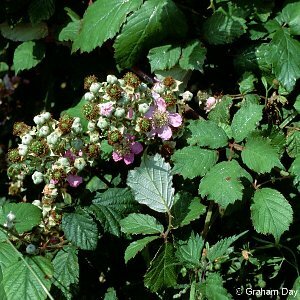 A very common scrambling thorny shrub of hedges and scrub, producing the familiar blackberry in early autumn. 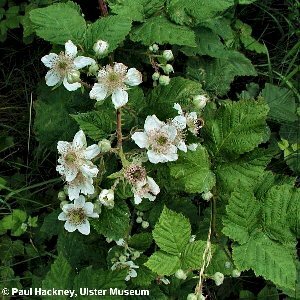 Actually a complex of species which differ from each other in degree of thorniness, shape of leaves, colour and size of petals and various other characteristics. 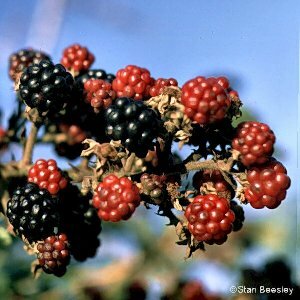 All names: Rubus fruticosus agg.